The Wessex gym has new equipment! 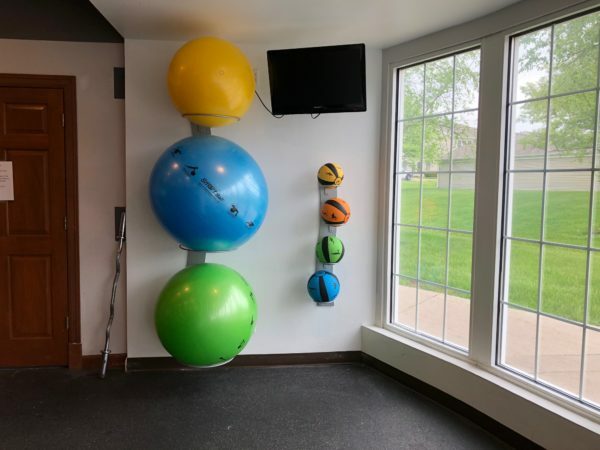 In addition to the dumbells, treadmills, elliptical, squat rack, and bike already in the gym – we now have a brand new functional trainer, stability balls, medicine balls, a new bench, and TRX bands! Before the gym was packed full of equipment making it very hard to do yoga and other bodyweight exercises. There is now space to do bodyweight and mat exercises, as well as use the stability and medicine balls in front of the windows. We also have space for everyone to spread out while using the bench or the dumbbells behind the treadmills. Adding the functional trainer to the gym allowed us to make extra room, while also providing endless opportunity for new exercises. Functional trainers can be used to work about every muscle group, including: chest, shoulders, back, triceps, biceps, abdominals, legs, and calves. Posted on the functional trainer are some simple pictures of how to do different exercises. You can also do a google search with functional trainer followed by what muscle group you’re interested in for other exercise ideas. 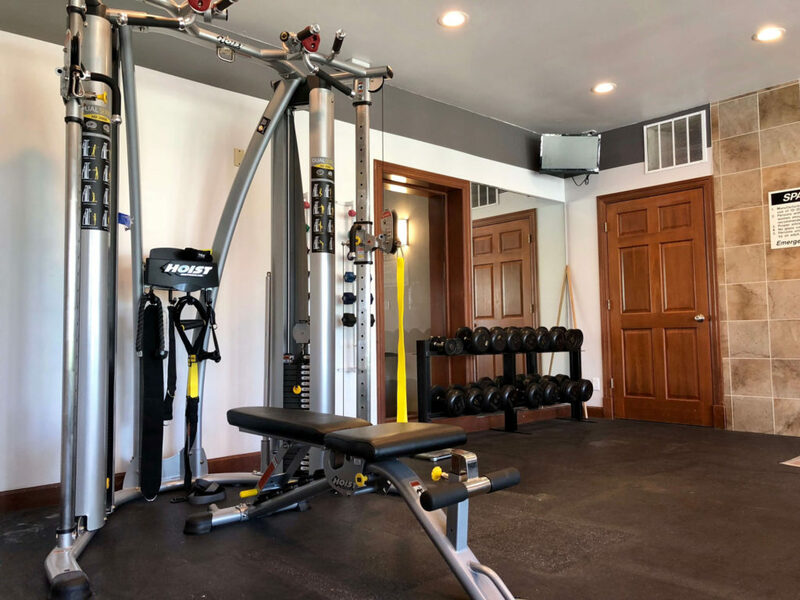 The gym and steam room are both accessible to any Wessex resident 24 hours a day by using your key fob to enter the northeast door of the clubhouse.